What Will Happen to My License Following a DUI Arrest? In Illinois, it is possible for your license to be suspended, even if you are found not guilty of Driving Under the Influence. This is because Illinois is an “implied consent” state. Basically, this means that by driving on a public highway in Illinois, you have automatically given consent for any law enforcement officer to perform chemical testing to determine your BAC. The officer only needs a minimal amount of evidence to believe that you are driving impaired prior to asking for chemical testing. If you refuse the officer’s request, then your license will be automatically suspended and this suspension will not be dependent on the outcome of the underlying DUI criminal case. A statutory summary suspension provides for the automatic suspension of driving privileges of a driver who fails or refuses chemical testing pursuant to the implied consent laws. Failure of chemical testing means a driver has a BAC of .08 or more, a THC of either 5 nanograms or more per milliliter of whole blood or 10 nanograms or more per milliliter of other bodily substance, or a trace amounts of illegal drugs such as heroin or cocaine, or trace amounts of prescription drugs for which the driver does not have a prescription. This suspension will become effective on the 46th day from the date of the suspension notice. You do have a right to challenge any suspension of your license based on a refusal to submit to chemical testing or failed testing. In order to do so, you must file a petition with the circuit court within 90 days from the date that your notice of suspension was issued (usually the date of your arrest). Whenever you file this petition, this will begin a civil proceeding whereby you are challenging the State on their basis to suspend your license. Just because you file a petition to challenge your suspension, this does not stop the suspension from taking effect. Since challenging this suspension is a civil matter and not criminal, the rules of evidence, burden of proof, and standard of proof are all different than in the underlying criminal DUI case. The most important distinction is that, as the petitioner, YOU have the burden of proof and not the State’s Attorney’s Office to show that they were in the wrong for suspending your license. Furthermore, the standard of proof is not beyond a reasonable doubt, as it is in criminal cases. Instead, you must show by a preponderance of the evidence (more likely than not) that the State did not have a basis to suspend your license. The length of suspension is based on a couple of factors. First, did you refuse chemical testing or fail chemical testing? Second, have you had a DUI or DUI license suspension within the last 5 years? 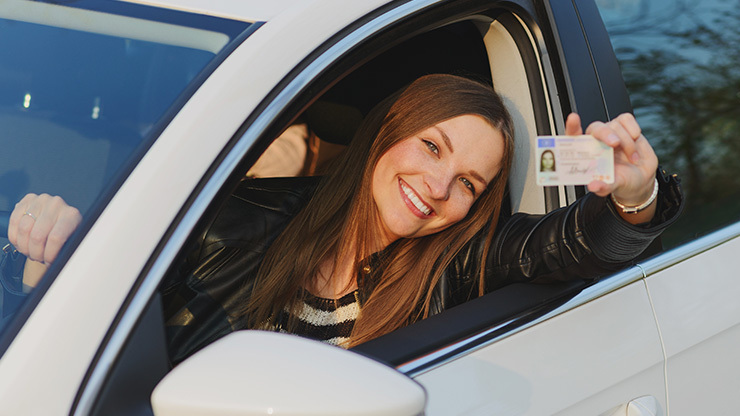 If you have not had a DUI within the last 5 years, you will be considered a “first offender” for purposes of determining the length of the license suspension and whether you are eligible for a driving permit during that period of suspension. It’s important to note that for the criminal case, previous DUI convictions will never drop off your record after a certain number of years and even though you are considered a first offender for the purposes of license suspension, this will not be reflected in the criminal case if you have a DUI conviction that is more than 5 years old.